There has been much written about the strengths of Agile development. The framework is heavily promoted as a solution for software development woes. However, there are some high-profile failures, and anyone practicing or looking to implement Agile should learn from these examples. In recent years, tech failures such as the UK government's welfare reform project (Universal Credit) have made it into international news. This high-profile, superbly costly misstep (estimated final cost £2.4bn) resulted in an investigation, and the ditching of Agile methods in the project. The National Audit Office (NAO)'s review of the Universal Credit project clearly indicated that this was in fact mainly a failure of Agile adoption, with procurement and contracting secondary reasons. A lack of transparency and inadequate performance reporting contributed to the problems. All these, of course, can be summed up as Agile failures. Another more recent example of an Agile project failure in the UK was the case of SIREN. Started by the Surrey Police Force, SIREN was a large-scale IT project to deliver a record and case management system using Agile. The official report blamed the inexperience of the in-house team in the ways of Agile development. Estimated at £15m, SIREN was a failure of Agile adoption at every level. The reason, generally, was the lack of in-house capabilities and experience. Inadequate governance and internal controls were blamed for the failure, as well as insufficient communication between internal and external teams. The report on the SIREN project states that the scope of the project was not well defined (clear demand and requirements management failure), and when you consider that there were 140 people working on this with no real direction, it is not surprising at all that this is considered a major Agile blunder. A Failure of Agile Development, or a Failure of Agile Adoption? Since both failures were in part attrbiuted to project management and procurement problems, it does seem like training and tooling were inadequately addressed. In the case of SIREN, requirements management was a large part of the problem, meaning that essentially, the project failed even before it really started. None of the failures mentioned in the two cases above were a failure of Agile development: it's not that Agile is not suitable for such large-scale projects. Rather, they were failures of Agile adoption. Problems resulted from either an incorrect understanding or implementation of practices and the Agile culture, or inadequate tooling. 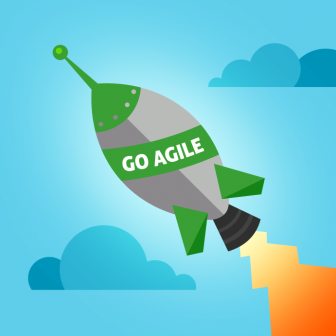 Pro tip: For Agile insights and best practices, sign up for our Agile Training Course! While a successful adoption of the Agile culture takes the experience of seasoned experts, tooling challenges are easier to tackle. Flexible tools such as codeBeamer ALM support the transition to, and manage the Agile way of working, helping you ensure the success of your Agile projects. Transparency & traceability: Process visibility and traceability are provided throughout all phases of development in codeBeamer ALM. 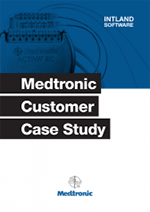 Read our Medtronic case study to learn how a department of the world's leading medtech developer used codeBeamer ALM in its Agile transition. Ready to find out more? Contact us or start your free trial right away!